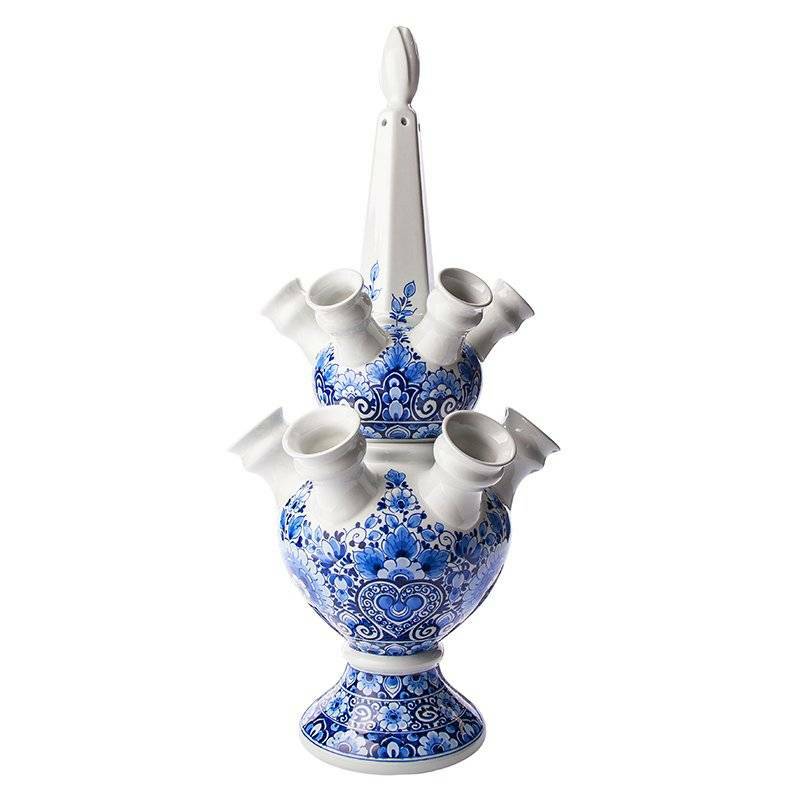 Beautiful large hand-painted, delft blue tulip vase with floral pattern. Hollandser can not! A beautiful vase to use as an ornamental piece or as a vase for your flowers.